Within the archives of Peter Piot, surrounded by decades of material surrounding HIV/AIDS was a small box file, simply entailed, ‘Ebola’. 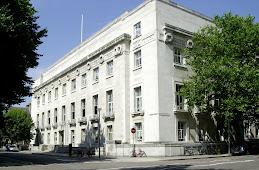 Within it were papers relating to his work with the International Medical Commission in Zaire (now Democratic Republic of Congo) to investigate an unknown hemorrhagic fever that erupted spontaneously in 1976. The disease infected 318 people, killing 280 people in a two month period. It’s lethalness was only rivalled by that of rabies and spread widespread fear across the region. 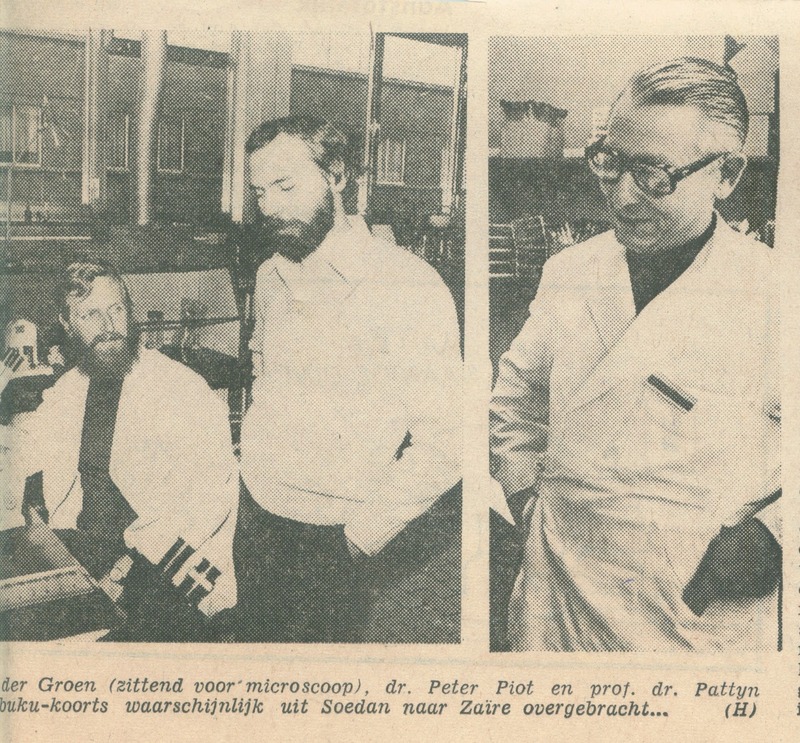 As a junior member of the Department of Microbiology Department at the Institute of Tropical Medicine, Antwerp, Peter Piot’s life and career was dramatically affected by the emergence of this terrifying epidemic. 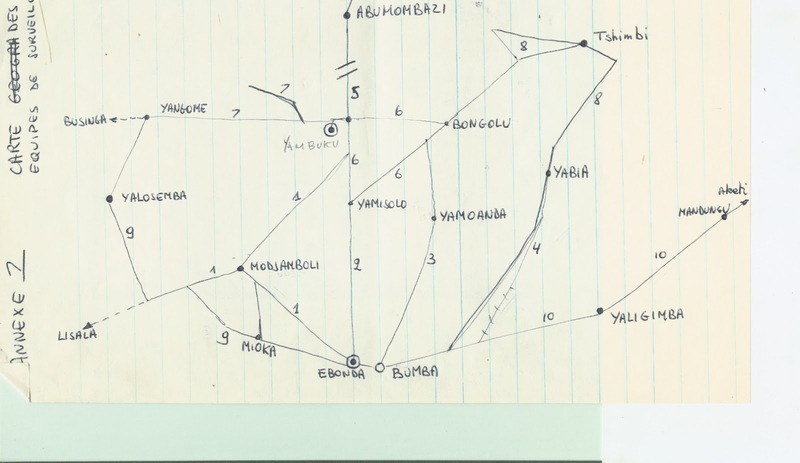 The story of Piot’s involvement is comprehensively told in his memoir, No Time to Lose, but his archives convey the scope of his epidemiological work within the Yambuku region. Piot became a member of the International Medical Commission after the he and his colleagues at the ITM had identified a new virus from the blood samples taken from the Flemish nun who had caught the disease. What is truly terrifying about the account is the lack of precautions that were taken with the highly infectious blood from it turning up, semi-thawed in a thermos couriered on a passenger airline to the almost accidental contamination of one of his colleagues when a test tube of the virus smashed onto the floor and covered the shoes of his colleague, Rene Delgadillo. The alarming reports from Zaire along with the identifying a lethal new virus caused the World Health Organisation to mobilise an International Commission to investigate and contain the outbreak. Members of the ITM were drafted in to go to Kinshasa and Piot was one of them. He was a relative novice at the time and had not been to Africa nor even had a valid passport (having cut out the picture for a squash membership card). However, he leapt at the opportunity to go and reached Kinshasa on October 18th. President Mobutu Sese Seko had ordered the entire Bamba region to be quarantined and there was no information from the region regarding the severity of the epidemic. It was agreed that a small expeditionary team would go in and investigate; Peter Piot volunteered to be on it. The archives note the epidemiological procedures the expeditionary party took during this period. Using they’re airlifted land rovers to visit local hospital and affected villages the team same came to some preliminary conclusions about the epidemic. Firstly, the peak of the epidemic had already been reached and the team could not identify any new cases; the main source of transmission was hypothesized and later proved to be the Yambuku hospital ran by the Flemish nuns, unwittingly the hospital staff had passed on the infection to a host of people through the re-use of syringes; whilst other cases seemed to be skin to skin transmission especially through preparation of the dead, the initial vector of the disease was not identified. On hearing the news, the international commission departed to the region to carry out more extensive epidemiological search and be certain that the disease was no longer a threat. Despite killing 88% of its victims the disease magnitude was deceased thanks to village elders imposing their own cordon sanitaire measures to prevent the spread of disease to surrounding areas and local people realising that the hospitals were the major source of the infection. The experience with the Ebola virus had quite a transformative effect on Peter Piot’s life. Along with being grateful to being alive, he felt vindicated in his decision to pursue epidemic disease and eager to advance in his profession and shortly afterwards moved to America.